God’s kingdom isn’t just about theology and church. It isn’t just a quaint religious idea or an obscure theological concept. It is about a whole new way of seeing the world and your place in it. 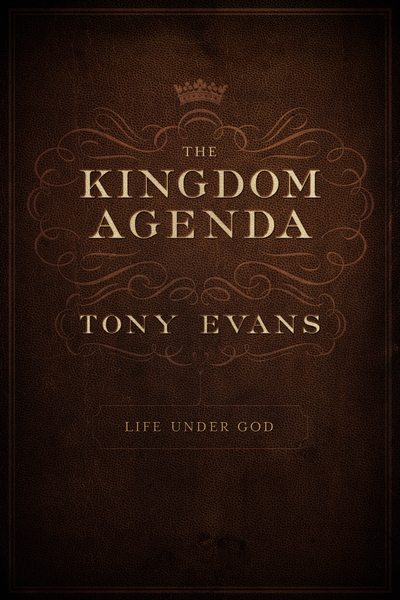 Tony Evans' legacy work, The Kingdom Agenda offers a fresh and powerful vision that will help you think differently about your life, your relationships, and your walk with God. When you start with a Kingdom agenda, living in relationship with the true King, and embracing your place in His Kingdom, nothing will ever be the same. Helps you find greater purpose for your life. Join Dr. Tony Evans, one of the greatest Bible teachers of our time, as he unfolds this biblical and practical approach to life—an approach that has the power to change people, families, neighborhoods, churches, and even nations. Discover the power of the Kingdom agenda. For more information on this title or others in The Kingdom Agenda Series, go to www.TheKingdomAgendaBook.com.